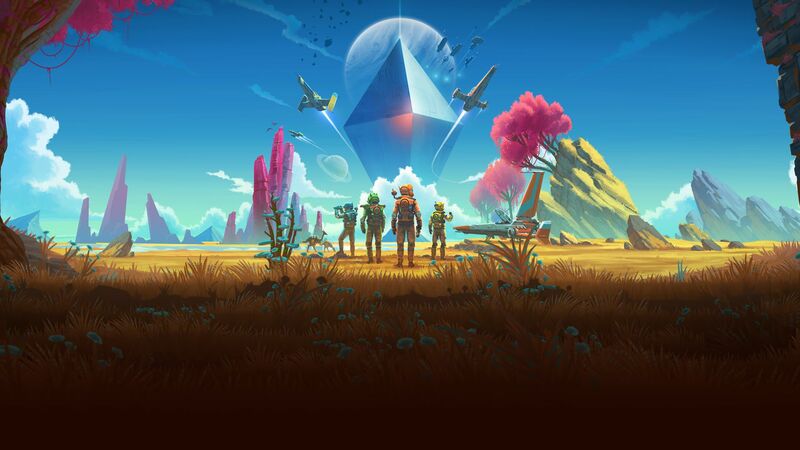 No Man’s Sky is an upcoming sci-fi space adventure game, which hopes to provide an unprecedented planetary exploration and survival experience. This sandbox game will let you survey an infinite procedurally generated universe like no other and travel the vast outer space filled with many unique planets and different alien lifeforms. Hello Games, the developer of the upcoming No Man’s Sky, aims to create a living, breathing universe with no limits. Every star is the light of a distant Sun being orbited by unique planets with strange lifeforms. If the developers get this idea right, it will truly be an unfathomable gaming experience. Already delayed multiple times before, these trailers show a hint of the scale of the game and the massive amount of work being put into the development of this game. This time the release date has been delayed from June 24th to August 9th. If you cannot wait 2 months for the game to release, here is our list of 7 similar alternative Sci-Fi space exploration and survival games like No Man’s Sky (in no specific ranking order) to keep you busy for a long long while. Star Citizen is an upcoming first-person space sim in development with a large focus on combat, mining, trading and exploration in a massively multiplayer persistent universe or private servers. Roberts Space Industries has also made sure a strong focus will also be placed on player interactions, with actions and behaviors being influenced by the dynamic economy of the game. If you want to support the development and buy Star Citizen while it’s still in development, visit the official website. Be sure to watch the trailer of Alpha 2 as lots of new development is taking place and the game and is starting to look better and better. The game combines elements from different games to become something completely unique. It is a sandbox space simulation, construction and survival game, and shooter, all in one. Games modes include a realistic ‘survival mode’ with limited resources and a ‘creative mode’ with no limits or restrictions. Where will you go and what will you do in this huge Milky Way galaxy of Empyrion? Infinity: Battlescape is an upcoming indie massively multiplayer online space simulation involving hundreds of players split across three competing corporations fighting for control of a procedurally generated solar system with planets, asteroids and other large astronomical objects. The primary goal is to destroy the enemy’s infrastructure through deadly future weaponry and bombardment from large spaceships and smaller spacecrafts like bombers, corvettes and interceptors. Seamless planetary transitions means the battle follows from Deep Space to planets, asteroids and smaller moons almost instantly. Although still in development, if you wish to pledge visit the Infinity crowdfunding project on Indiegogo. A sandbox game with elements of construction, survival, exploration and engineering, Space Engineers is a brilliant space sim with an amazing physics engine. A game inspired by reality and how things work in the real world, imagine NASA technology envisioned 60 years into the future. Build spaceships, space stations, planetary outposts, explore the countless planets and gather resources to survive. The game features both singleplayer and multiplayer and like Empyrion letting you choose between survival or creative mode. If Space Engineers feels like your kind of game, you can check it out on Steam. PULSAR: Lost Colony is an adventure space simulation where you team up and operate an advanced space warship while exploring a random galaxy filled with chaos. Control five unique classes, each with their own unique role in the spaceship and with cool features like online drop-in multiplayer having fun in Deep Space with your friends has never been quicker or easier. Embark on missions, teleport to the surface of planets, investigate abandoned stations or just explore the vast galaxy while making new friends. To get PULSAR: Lost Colony, visit the Steam store page. Rodina is a space exploration game which lets you seamlessly travel across an entire, full-scale solar system galaxy. You can visit planets on your spaceship and then straight back to Deep Space with no loading screens. Walk around in your spaceship or walk across full-scale planets, a truly immersive experience. Although the game is early access and still in development, you can try the demo for free or visit the store page on Steam to take get the early access. Here is the launch trailer from more than 2 years ago, and since then a lot has changed for the better if you are interested in trying out Rodina be sure to take a look. Although we cannot recommend supporting the payment model from the developers, Elite Dangerous is solely on the list because of the similarities it shares with No Man’s Sky. Elite Dangerous is a massively multiplayer open-world space sim with a high emphasis on combat and exploration. The game features 400 billion different star systems of the Milky Way with real stars, planets, moons and asteroids fields to explore, the possibilities are pretty much endless. There is a very steep learning curve to the game and initially you will be dying a lot but once you get the hang of things and credits start rolling in the trading and political aspects of the game really shine. If you are fine with grinding and supporting a payment model with multiple season passes to add new gameplay features, the basic edition of Elite Dangerous is available on Steam for $29.99 and deluxe edition for $59.99 with the season passes. Did we make a mistake or miss out on anymore exciting space exploration games? Be sure to let us know in the comments below. KSP isnt that similar to No Man’s Sky but is definitely more of a ‘space sim’ than NMS.